A surge of foreign investment in infrastructure projects in Myanmar this year could lead to a boom in many sectors of the country's property market, according to an article in the Myanmar Times. Proposed developments expected to have an impact include hydro-electric power projects, deep-sea port projects, road works, and more. Land prices in areas where developments are planned and rentals of luxury property in Yangon are expected to rise considerably, many real estate experts opined. "There will be an impact on the property sector of Yangon because these projects will need offices for their staff," said U Than Oo, managing director of Mandine real estate agency. Since foreigners are not legally able to buy land, the surge in visits by business people and investors from Vietnam, Thailand, China, Singapore and Malaysia will also stimulate Yangon's rental market. "The rental market will grow in the coming year because living standards are very important for businesspeople who invest in Myanmar," said U Than Oo. 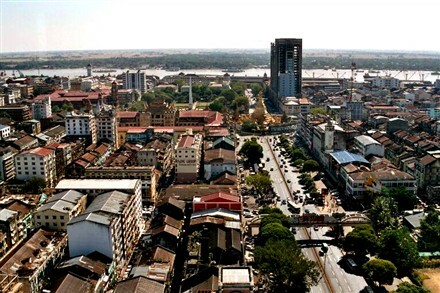 Rentals have already perked up since early December, with investors prepared to pay US$5,000 for prime locations along Pyay and Kabar Aye Pagoda roads and downtown, said U Min Min Soe of Mya Pan Thakhin real estate agency. The average rent for a detached house with phone and internet, and reliable electricity and water supplies, has doubled in the past two years, said another realtor, U Zaw Zaw, of Unity real estate agency. The impact will also to extend to other parts of Myanmar where the projects are actually carried out. Major developments include the Dawei deep-sea port project in Tanintharyi Region and hydroelectric power projects in Mandalay Region and Kachin State. Thailand-based company Italian-Thai and the Ministry of Transportation signed the Dawei agreement last month in Nay Pyi Taw. According to local media, property prices in Dawei have jumped tenfold since the launch of the port project early last month, with the price of a detached house on the main road leaping from K20 million to K200 million within a month. "Demand and price will continue to rise, because Dawei is a good place for Thai-Myanmar border trade. Even when the project is complete, the property boom will continue," one Dawei resident told Popular News.